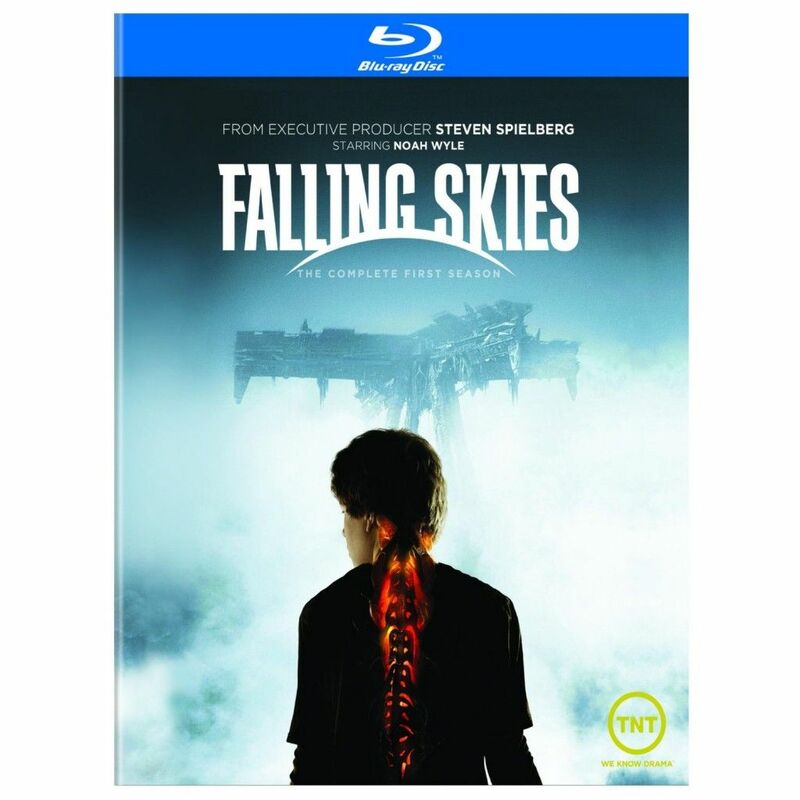 If Falling Skies doesn’t grab you right away, give it a few episodes. Amid the shuffle of Must-See shows like Game of Thrones, it feels a little quieter and more pedestrian. But if you remain open to it and let it find its rhythm, it turns into a thoroughly enjoyable bit of summer escapism. With the first season Blu-ray now in stores, those who missed it have a second chance to see what it’s all about. Hit the jump for my full review. Though he merely serves as an executive producer, Steven Spielberg’s fingerprints appear all over the show. Invading aliens, families under pressure, the persistence of hope in bleak times…creator Robert Rodat follows the S-man’s playbook and reaps solid rewards in the process. The story concerns a sudden alien invasion of Earth that leaves most of humanity dead and civilization in ruins. The remainder of the species fights a guerilla war against the planet’s new owners, hoping to reclaim our home from an enemy that has overrun us. We focus on the 2nd Massachusetts Irregulars, a guerilla unit consisting of former civilians, military retirees and flat-out criminals. 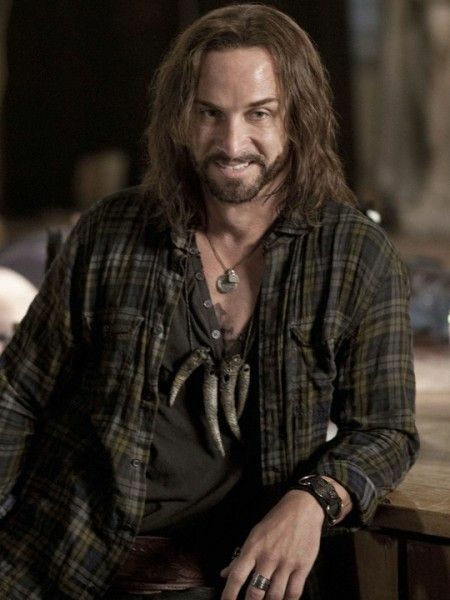 Second-in-command Tom Mason (Noah Wyle) was a history teacher before the invasion, and now uses his knowledge of previous wars to help guide his comrades… while protecting his three sons in the bargain. His commander, Weaver (Will Patton) expected to be retired and fishing somewhere by now, but has to hold his crew together however he can. They and their followers scurry through the ruins of suburban Boston, dodging “skitters” (the insectile aliens) and their mechanical death machines while seeking new ways to strike back. Falling Skies scatters its big effects shots across the series, while focusing on the day-to-day lives of the 2nd Mass in their fight to survive. The first few episodes get the bulk of it, which ironically makes it more difficult to get on the show’s wavelength. They try hard, but also feel half a beat off: looking for the right tone and missing it by the barest of inches. Things pick up considerably with the arrival of Pope (Colin Cunningham) and his gang of marauders who have opted to stay alive rather than continue the fight against the invaders. Originally posited as a villain, he slowly morphs into a rough anti-hero, and his often brutal pragmatism contrasts elegantly with Mason’s nobler philosophy. With his arrival, the show’s last piece slips into place, turning into something quite cool for the last six or seven episodes. A strong sense of logic follows each new dilemma, and the show runners are devoted to as much authenticity as an alien invasion story can provide. The world feels very plausible, with the right combination of grit and optimism to keep things from getting too bleak. It stumbles a tad during the finale, which lacks the epic quality it needs and leaves us on the inevitable cliffhanger. (The fault lies more in a lack of budget than any shortcomings on the producers’ part.) The second season picks up promptly, however, and the show runners have promised not to let the lingering questions remain unanswered for long. With new episodes underway, the Blu-ray makes a terrific way to catch up. Other summer shows have made a bigger splash and some do better for themselves, but Falling Skies thrives by being true to itself and never deviating from its purpose. It scores further points with its intelligence and verve, refusing to sit back and let empty spectacle carry the day. The Blu-ray transfer does justice to the imagery, while containing the expected collection of featurettes and extras. The sneak preview of Season Two is a bit redundant at this point, but the remainder of the extras are informative and enlightening, especially for the show’s more enthusiastic fans. The comparatively low number of episodes means that it doesn’t cost much to pick up, and the show rewards the idly curious as well as its loyal followers. With summer television in a bit of a lull right now, you could do a lot worse than give it a try.